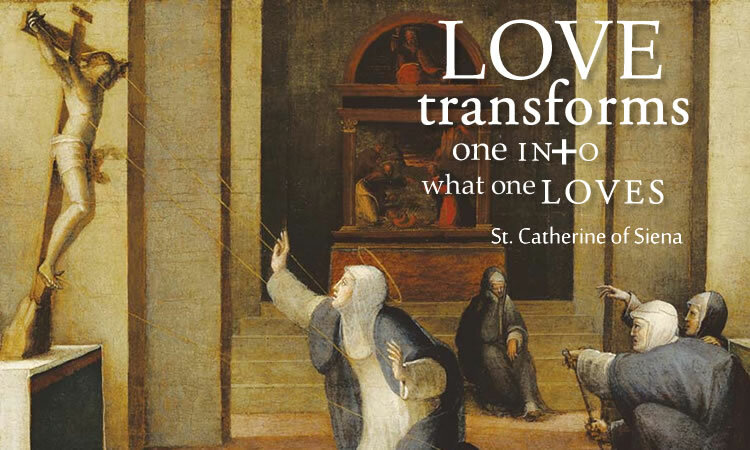 Catherine was a mystic who received visions throughout her life. The first came when she was six as a vision of Christ “who was seated in Glory” with Saints Peter and Paul. The vision had an effect so strong that she vowed chastity. 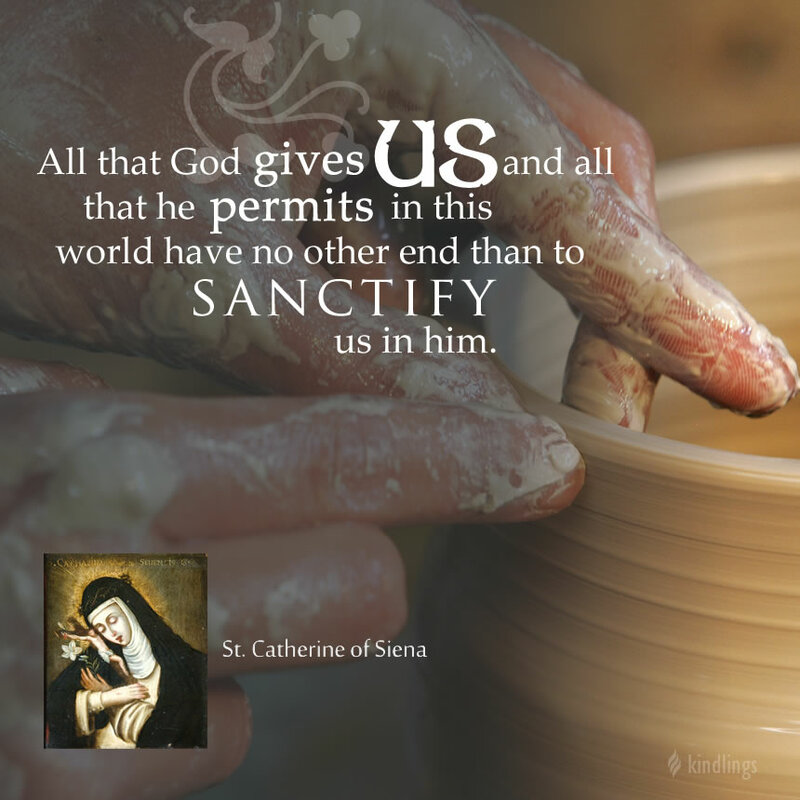 Even as a child she had deep devotion, but while praying when she was thirteen, she had another vision of Mary taking her by the hand who held it up to Christ who placed a wedding ring on her finger and declaring her his bride. 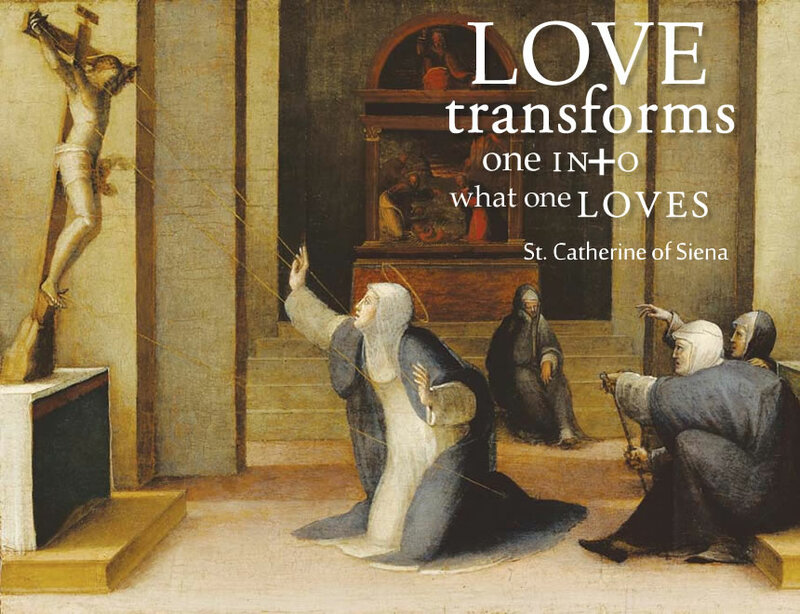 We refer to this as the Mystical Marriage of St. Catherine. It is said that the ring was visible only to her, but not to others. 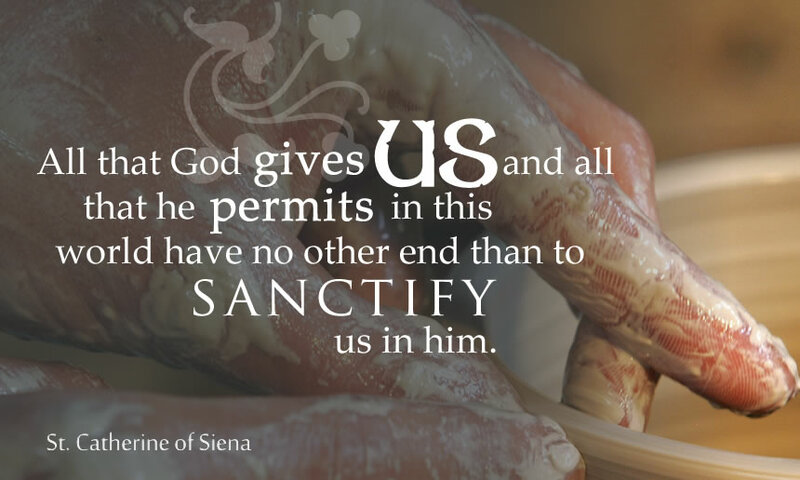 She became a Dominican Sister and her spiritually was instrumental in converting others, and healing feuds. One of this was to bring back the seat of the Papacy to Rome. Many years prior, King Philip IV of France wanted to control the French clergy, which did not sit well with Pope Boniface VII. This caused straining relations between France and the Papacy. In 1305, when French man was elected as Pope Clement V, he declined to move to Rome. After four years, he decided to move the entire papal enclave in Avignon in 1309. For 74 years, and seven Popes (all French) the seat of the Pope was in Avignon and is referred to as the “Babylonian Captivity of the Papacy.” It was not a very good time for the Church because the Avignon was increasingly influenced by the French Crown. Finally in 1376, it was through the intervention of St. Catherine that Pope Gregory XI decided to return to Rome. After Gregory XI died two years later, the French elected their own Pope, thus initiating what is called the Western Schism. One mystical experience happened in 1375, while she was trying to convince Pope Gregory XI to return the Papacy to Rome. 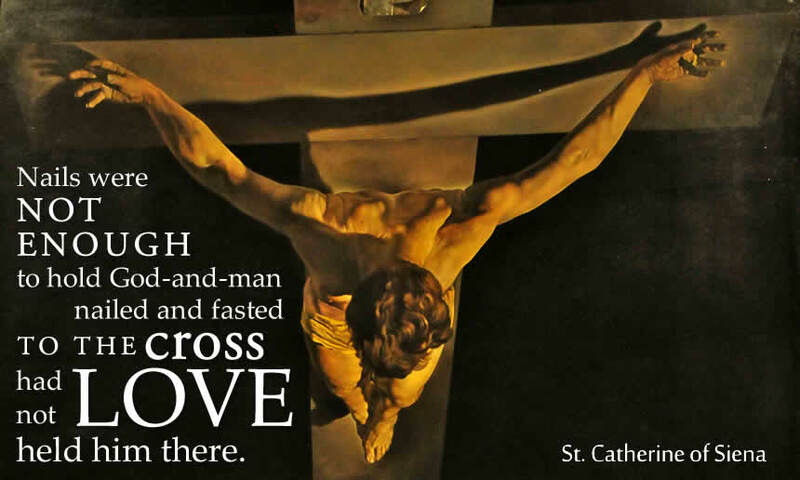 After receiving Holy Communion, she was rapt in prayer before a crucifix when blood-colored rays from the wounds of Christ pierced her hands, feet, and heart. It caused great pain that she fainted. 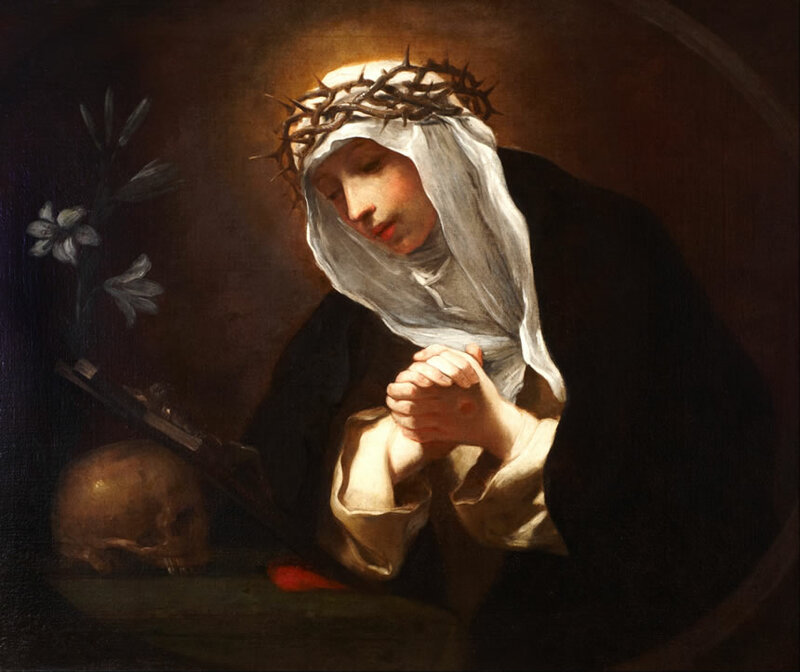 The wounds were invisible but remained as stigmata until her death. She accustomed to her to rigorous abstinence. Her confessor, Raymond Capua, said that in her later years, “sucking pus and phlegm from the sick” became her only foot apart from the Communion Host. While in Rome, as part of Pope Urban VI’s court, she received a vision of a ship of the Church crushing her to the Earth. Soon after, at the age of 33, she had a stroke and died eight days later on April 29, 1380. 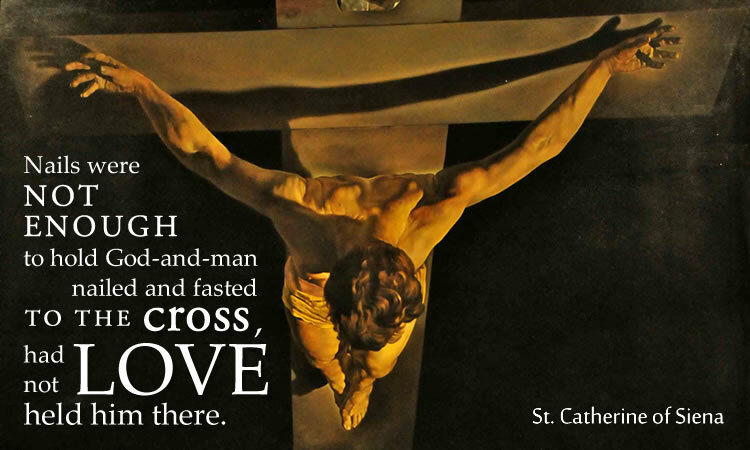 The stigmata that was only visible to her became clearly visible to others after her death. Did you ever wonder how Mary is the Gate of Heaven or a Mirror of Justice?